iDEAL allows online payments to be made using online banking. iDEAL links you directly to your online banking application when you make a transfer online. It is for use in the Netherlands with all participating banks being Dutch banks. You are able to use iDEAL if you already have online banking with one of the following banks: ABN AMRO, ASN Bank, Friesland Bank, ING, Rabobank, RegioBank, SNS Bank, Triodos Bank or Van Lanschot Bankiers. iDEAL has been available as an online payment method since 2006 and it has grown greatly in popularity since that time. It is convenient, safe and secure and it is a favored online payment option for use at online poker rooms and online casinos for Dutch players. You do not need to register in order to use iDEAL as an online payment method. You are also not required to open a special account or download any files and this makes it quick and simple to use. To use iDEAL as a payment method, visit the cashier section of the online poker room you are playing at. Click on iDEAL as your payment method of choice and then select your bank from the list that is provided to you. You will then be transferred to the online banking application of your bank. Your transactiosn details will already be filled in and all you will need to do is authorize your payment in the regular way required when using the online banking application of your bank and wait for the bank to confirm your payment. 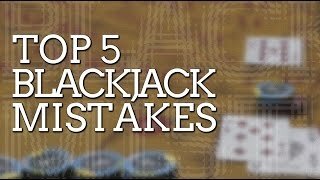 You will then be transferred back to the online poker room where you will find that the money has been credited to your account and you will be able to begin playing in no time. There are many advantages to using iDEAL as a payment method when playing at an online poker room. Primarily, iDEAL allows you to use the online banking environment of your own bank to complete transactions. This provides familiarity and convenience that makes the payment method simple to use. It also means that you do not need to register, open any special accounts or download any files. Everything you need already exists in the online banking environment of your current bank. You are able to start using iDEAL as an online payment method immediately. Because iDEAL uses the online banking environment of your bank, it is fully safe and secure, using the strict security measures of the bank. You do not need to credit any third party accounts when using iDEAL – the money is transferred directly from your bank account to your online poker room account. iDEAL is quick to use allowing you to begin playing at the online poker room in no time at all. When you are transferred to the online banking application of your bank, your transaction details will already be filled in for you. Confirmation of successful payment is immediate and you are then taken back to the online poker room to begin playing. Play 'American Roulette' for Free and Practice Your Skills!